Discover the Dior Homme spring 2018 collection, designed by Kris Van Assche, Creative Director of Dior Homme, and embodied by the actor and House muse Robert Pattinson in the new campaign photographed by Karl Lagerfeld. 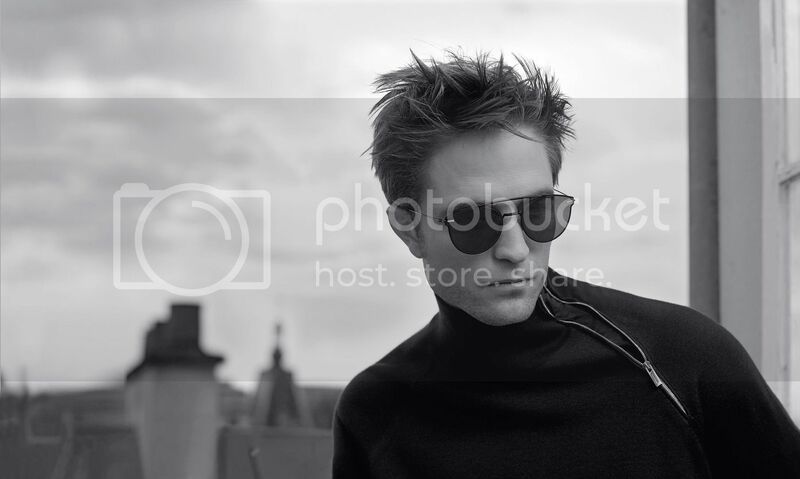 An artist’s studio opening over the roofs of Paris is the location in which Robert Pattinson posed for Karl Lagerfeld’s camera. The actor’s contemporary allure, dressed as he is in the Dior Homme spring 2018 collection, is enhanced by the raw and timeless black and white setting. Over the course of the series, Robert Pattinson makes the pieces in this men’s wardrobe designed by Kris Van Assche his own, going from a full suit to a more laid back style, without losing any of his elegance. We always have some lovely BTS shots of Rob with Karl. This one is my fave. JAWPORN! I could just eat him up. Labels: Black and white or in color Rob is a stunner, Dior, dior ad, Dior Homme, DiorRob, Hello jawline welcome to the party, Jawporn, Robert Pattinson, Robert Pattinson's modeling days.